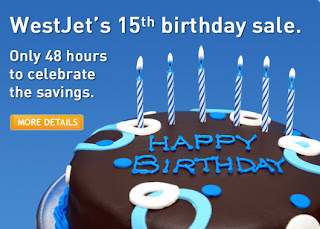 WestJet is celebrating their 15th birthday by offering you a 48 hour seat sale! Book by March 17, 2011 fr travel on select days until June 29, 2011. Click here to check out WestJet’s seat sale.